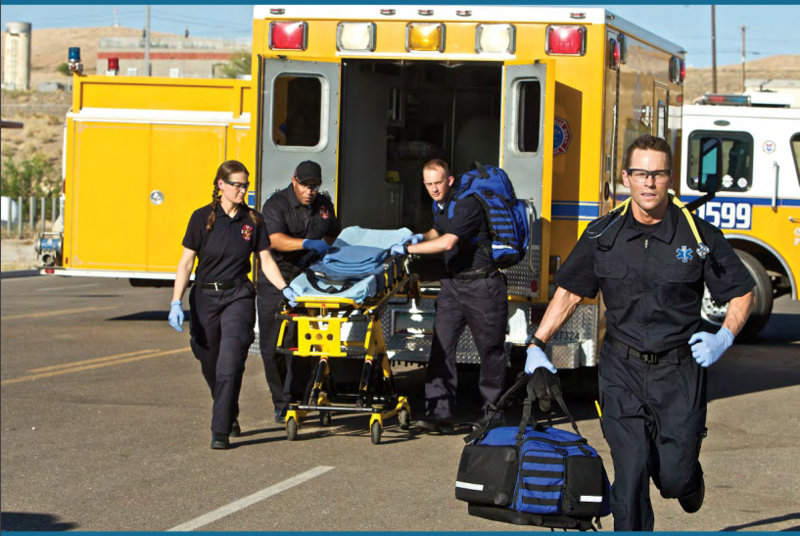 A new report, Emergency Medical Services in California: Wages, Working Conditions, and Industry Profile examines wages and working conditions for California’s EMTs and paramedics. According to the study, wages in the industry are low, employees work long hours often without rest and meal breaks, and injury rates are high, according to a joint study by the UCLA Labor Center and UC Berkeley’s Center for Labor Research and Education. Private-sector EMTs and paramedics earned 39 percent less than their public sector counterparts. Even when controlling for age, gender, geography, education, and race and ethnicity, public sector wages were still much higher than private-sector wages. One quarter of private-sector EMS workers in California were in households with incomes below 200 % of the Federal Poverty Line, compared to 14 % of those in the public sector. The common practice of ‘posting’ (where EMT units await calls while parked rather than at a comfort station) increases the likelihood of back pain and makes it difficult to take breaks. Temperature regulation is difficult in summer and winter, and posting locations are often unsafe. The report calls to attention two policy levers that may be activated to improve EMS workforce conditions: state-level legislation and local contracting practices. The study considered the working conditions addressed in the Emergency Medical Services Workers’ (EMS) Bill of Rights, or Assembly Bill 263, recently proposed by Assemblymember Freddie Rodriguez (D-Pomona/Chino). Since EMS is both a critical healthcare and employment sector, improving working conditions is important, and the projected growth of California’s elderly will translate to thousands of new, middle-class EMT and paramedic jobs in the coming decade.